A consortium of development professionals YG-CONSULT wants Nigeria to accord the deserved attention to the development of a goldmine naturally bestowed on the nation by Rivers Niger and Benue. Addressing a World News Conference in Abuja on Sunday, the Coordinator of the consortium, Arc. Gabriel Aduku noted that nature has been very generous to Nigeria in terms of resources, especially through the two rivers which have been begging to be developed. Rivers Niger and Benue, Arc. Aduku explained, are not just nature’s gifts, but have the potential to generate power, national integration, engender productivity, create jobs, business opportunities and livelihood for millions of Nigerians. 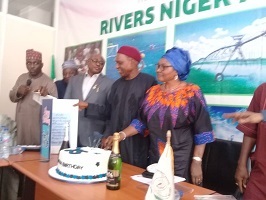 It is against this background, the Coordinator said, YG-CONSULT is raising national consciousness to the enormous advantages the two rivers offer Nigeria in her search for economic diversification and empowerment of the people regardless of ethnic, religious, geopolitical and political affiliations. Nation building, Arc. Aduku emphasised, is not the sole responsibility of the political leaders alone, hence the establishment of the YG-CONSULT. 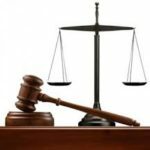 For the full realisation of the objectives, the Coordinator asks both the Federal Government and National Assembly to among others, ammend and harmonize related laws to support the development of the project, designate the Niger- Benue trough as Special Development Areas, designate the rivers Niger and Benue confluence as economic zone. Others are development of smart City and Nigerian iconic Dome and Grant the project along the trough, Duty Free status. For State and local governments, Arc. Aduku wants them to allocate land for each project as their equity, provide adequate security to guarantee good and hitch free operation, establish advisory teams comprising core Stakeholders and community leaders in the planning and management of the projects. They would also participate in attracting investors and foreign direct investment. The Coordinator reemphasized that the consortium is ready to offer its partnership and professional support to any government, development partners or corporate citizen willing to work with her to facilitate the modernization and economic development of the States, cities, towns and villages contiguous to the two rivers. Projects identified by YG-CONSULT, include agriculture, especially irrigation. hydroponics and aquaponics farming. Smart cities, aquaculture supported by extensive fish canning, drying facilities, culture industries and other investment clusters, technology incubation, hubs science and Nanotechnology research parks. Smart land and water transportation systems as well as tourism and international water sports. On the dredging of River Niger, Arc. Aduku expressed deep concern over the abandonment, adding that the initiative would have made Nigeria to become one of the 20 most industrialized nations in the world. He stated that Nigeria commenced the N30 Billion dredging of the Niger from Baro to Warri in September 2009, to provide 1,600,000 hectares of irrigable farmland to boost agriculture and Poverty alleviation if it was implanted successfully, but sadly, the Initiative died a stillbirth.